Probably the best bet in Summerland for food quality, Cafe Luna takes rustic to a different level. While they have patio dining on several different patios, their converted home is cozy yet in need of a few updates. Let’s face it, there’s charming clean rustic and there’s barnyard rustic. Of course I’d link to their website or menu but they don’t even have a website. However, they do offer Summerland Winery wines exclusively. Showcasing local wines only takes farm-to-table to a new level. They are literally on the same block! The food speaks for this place. 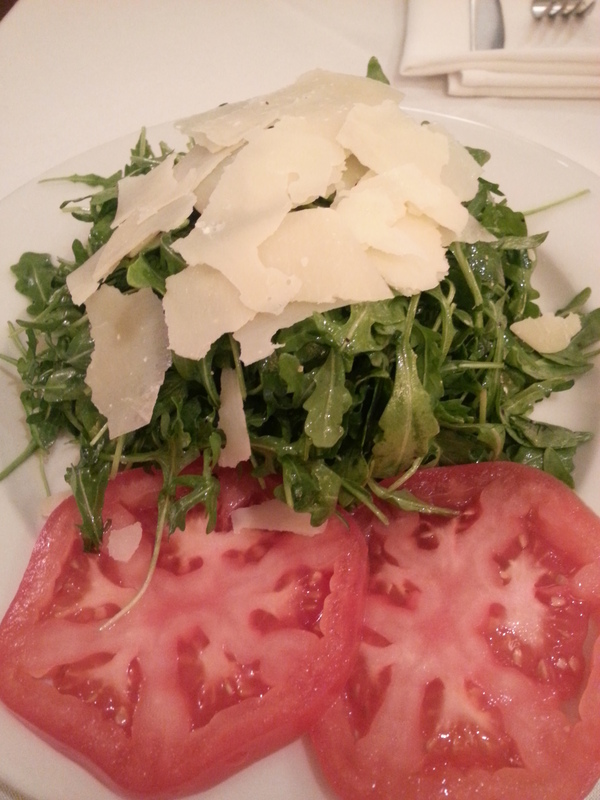 This fab arugula salad with a light olive oil and lemon dressing was fantastically dressed and impressed with salty rich Parmesan. 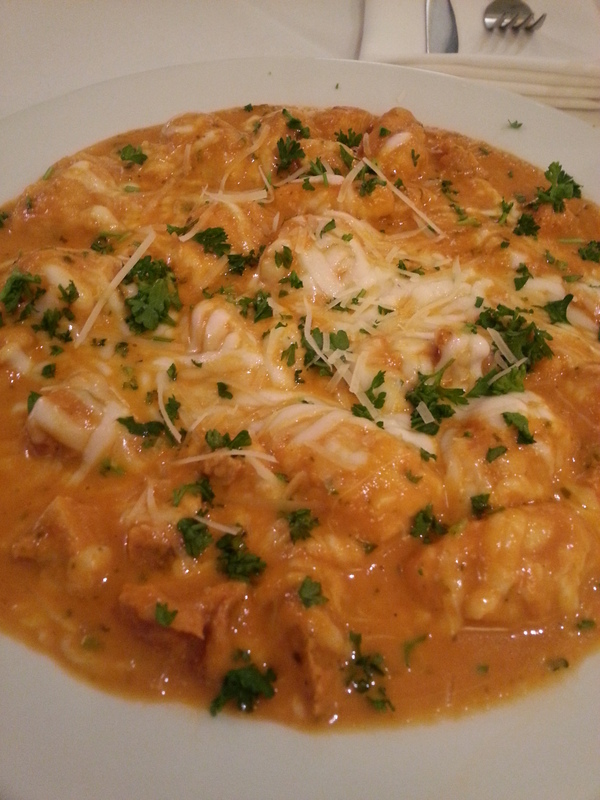 Their gnocchi with chicken in a sun-dried tomato cream sauce was rich yet light and fluffy. Delicious is the word. This entry was posted on Friday, February 21st, 2014 at 3:38 AM	and posted in Food, Santa Barbara County, Wine. You can follow any responses to this entry through the RSS 2.0 feed.